Tenet Healthcare's losses from its health plans are mounting even as the Dallas-based hospital company seeks to exit the insurance business entirely. The performance contributed to Tenet missing analyst expectations in its fourth-quarter earnings released Monday. Tenet joins a growing list of hospital systems that are throwing in the towel after getting into the insurance business and failing. Most notably, Catholic Health Initiatives of Englewood, Colo., is selling its health plan that has struggled for four years. Losses on that business exceeded more than $100 million in 2016 alone. Tenet's health plans caused fourth-quarter earnings before interest taxes depreciation and amortization to come in at the lower end of earnings guidance, Tenet revealed in financial disclosures released Monday. As of 3 p.m. ET Tuesday, Tenet's share price had fallen $3.25, or 14%, to $19.42. The performance of the health plans lowered EBITDA in the quarter by $29 million. The nation's third-largest investor-owned health system had expected the losses to be about $15 million. Tenet ended up with EBITDA in the quarter of $613 million after giving guidance late last year that it would be in a range of $600 million to $650 million. Tenet's health plan business resulted in a full-year EBITDA loss of $37 million, the company reported. The company announced earlier this year that it had definitive agreements to sell two of its health plans without identifying the plans or prospective buyers. "We've made progress on some of the definitive agreements,” said Tenet spokesman Dan Waldmann in a statement. Tenet CEO Trevor Fetter also revealed in January that Tenet is looking to sell additional non-core hospitals and its home health business to focus its capital on ambulatory care and hub markets where it has first- and second-place market share or a strong, profitable niche. Tenet ended 2016 with 75 hospitals after starting the year with 80. It sold its five hospitals in Atlanta to Marietta, Ga.-based WellStar Health System for $661 million. 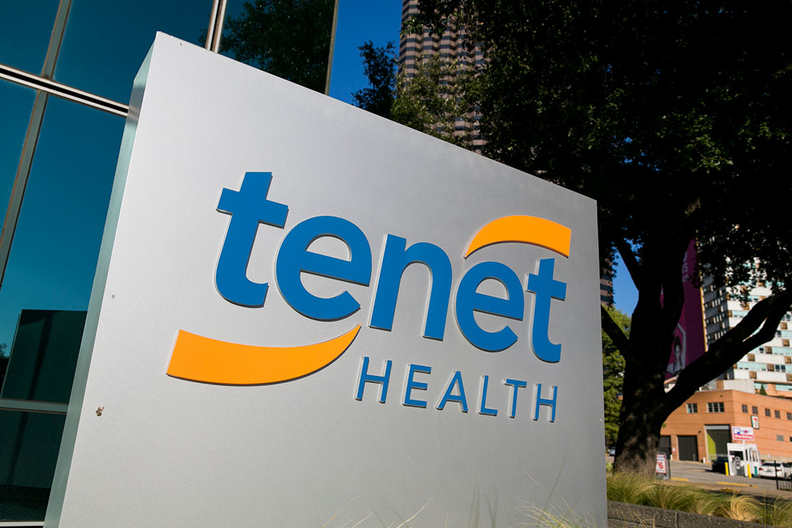 In the fourth quarter, Tenet posted a net loss from continuing operations of $79 million compared with a net loss from continuing operations of $100 million in the year-earlier period. With five fewer hospitals than a year ago, revenue in the quarter fell slightly to $4.86 billion from $5 billion in the year-earlier quarter as Tenet posted big gains in outpatient volumes and with sales of its Conifer revenue-cycle product. But Obamacare has significantly helped Tenet, Fetter told a J.P. Morgan healthcare conference last month. Fetter said that two-thirds of the ACA patients that Tenet sees had health insurance before Obamacare and had moved over to the exchanges. The system derives about 3% of its admissions and 5% of revenue from exchange patients, Fetter said. But while Tenet has seen about $230 million in benefits from the healthcare law, Medicare cuts imposed under the law have cost Tenet $350 million over that time, Fetter said. That's a net negative of $120 million since 2010. “Once you look back to the Medicare cuts that began in 2010, we believe that the ACA has lowered our cumulative earnings, not raised them,” Fetter said.